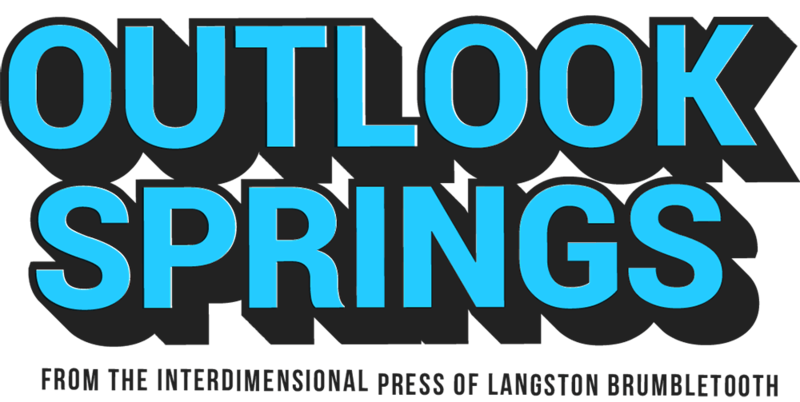 Outlook Springs is a literary journal from another dimension. It is devoted to fiction, poetry, and non-fiction tinged with the strange. Interdimensional © Outlook Springs 'til ∞. All works belong to the people that wrote them. If you're thinking of using something, be cool and contact the writer. We all have a way better time if we aren't buttheads to one another.